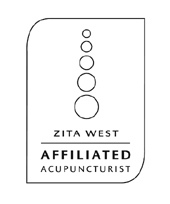 At the initial consultation the acupuncturist seeks to get an overall picture of the client, including lifestyle, diet, work, medical history and emotional wellbeing. A physical examination is carried out if appropriate and tongue and pulse diagnosis are also used. The first visit can take from 60-90 minutes and subsequent visits usually takes 45-60 minutes. Pain - arthritis, injury, sciatica and other causes. Gastrointestinal problems - nausea, vomiting, excess weight, constipation, diarrhoea and other bowel disorders. Cardiovascular problems - hypertension, palpitations and high cholesterol levels. Emotional and mental difficulties - depression, insomnia, fatigue, anxiety and stress. Gynaecological disorders - infertility, endometriosis, P.M.T. and menopausal problems. During pregnancy - nausea or vomiting and it is a safe means of correcting the position of the foetus. The common cold, influenza, sinusitis and rhinitis. To view a detailed list of these and other conditions please click here. Approved by major heatlhcare providers.